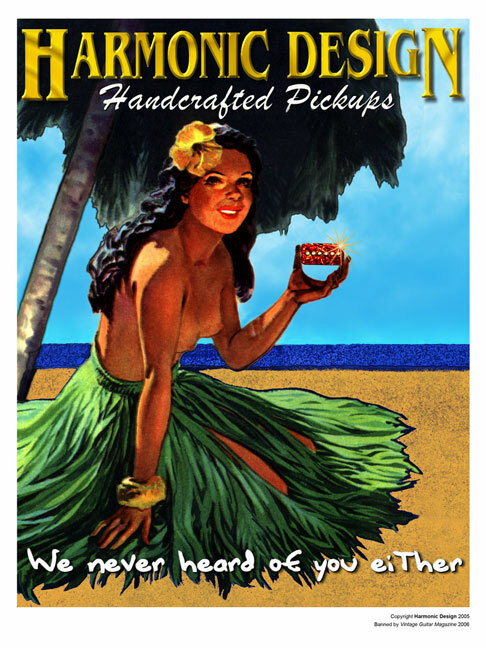 Our snappy Hula Girl Poster was a big hit at the Harmonic Design NAMM Show booth. 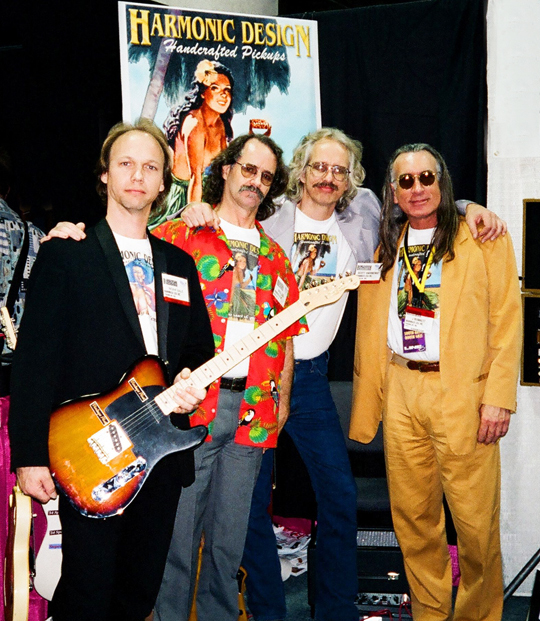 But after Vintage Guitar Magazine refused to run our Hula Girl ad, we decided to do the right thing to protect the general public - by running off a bunch more posters. Now everybody can have their very own extra slick 18x24 poster, printed on heavy stock. We can send one anywhere in the USA for $10 shipped (with or without a pickup order). If you're outside the USA the poster ships separately for $15. We are stocking all correct controls, switches, pickguards, etc. They're listed below the order form. Brand spanking new SUPER 90 neck pickup for Teles. High-output and fat, juicy tone with plenty of spank. Perfect match for the Super 90 Tele bridge pickup in black, white, chrome, tortoise or pearloid. A chrome Tele neck pickup that sounds great? They said it couldn't be done. Even WE said it. 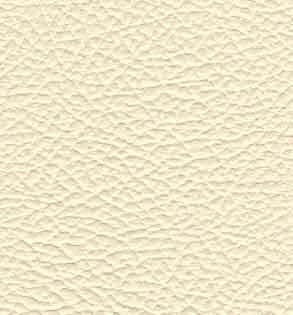 But here it is, the CHROMOTONE! Scott finally got around to working up a dogear version of the VP-90 for all your Les Paul Jrs, ES-330's and such. Same price as soapbar style VP-90's. 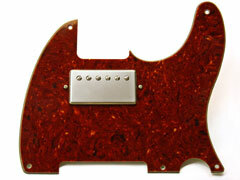 We stock standard Tele pickguards, as well as routed for Z-90's and Humbuckers. Mini-Strat Neck Pickup for Teles. Just another thing somebody should have invented a long time ago. The latest Mini-Strats sound virtually identical to our famous '54 Special Strat neck pickup. It's as 'Stratty' as a Tele can get and sounds better than most Stratocasters. Aged Nickle parts. We can softly age our nickle parts (Chromotone, Super 90 Tele, Humbuckers, etc) to our velvet-smooth vintage luster at no extra charge. 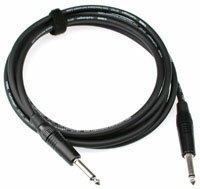 These high-end cables actually sound better than the rest, or we wouldn't be carrying them. Hey! Isn't that my man Otis Rush using Harmonic Design Classic Humbuckers? Why yes, I believe it is. How cool is that? And here's a couple more blues guys using our stuff. Redd Volkaert, who plays his fanny off with Merle Haggard has been using Z-90's on his custom guitar for a while. Now he's also using the Mini-Strat neck pickup and a '50's Broadcaster bridge pickup on his workingman's Tele. And he said some real nice things about 'em too. We're always happy to have some more good press. The Bakersfield Californian recently did a comprehensive article on Harmonic Design and Scott. 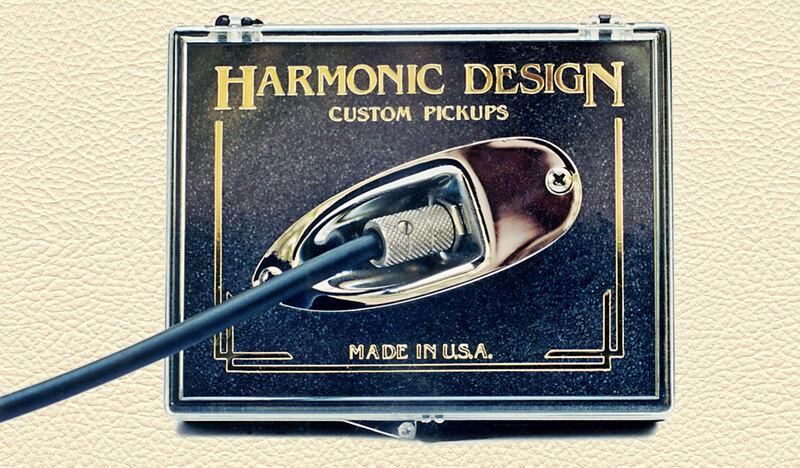 In his 'Choosing a Pickup' article in Vintage Guitar magazine, Tony Nobles top rates the Harmonic Design Super 90 "Almost ideal, my favorite." ToneQuest Magazine's cover story about Z-90's says, "The tone of these pickups is not to be believed." Guitar Player magazine says,"The punchiest and most robust sounds were delivered by Harmonic Design Z-90 pickups."